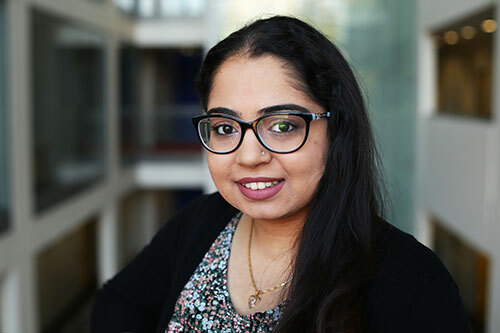 Originally from Canada, City’s LLB Law graduate Heena came to the UK to study in London and embrace new cultures. Why did you decide to study at City? When I first looked at applying to Universities to study law, studying in London came up as an option. At a seminar where it was explained how I would be able to study abroad in London as a Canadian, City was one of the universities that was listed. When I looked further into City and the Law School, it was one of the few universities that stuck out to me. Through my research of City and The City Law School, I had found that it was among the top ranked universities in London and the UK making it a highly-respected institution. City also has a tremendous history and very notable alumni, which are among the things that made me apply to City. My favourite thing about studying at City is that the University is in the heart of London. As an international student, this has given me the opportunity to travel and experience so many different things. I have travelled around London, the UK and Europe, which gave me the chance to learn and experience different cultures. Outside my course, I was involved in many different things. I was a Student Ambassador, a Widening Participation Tutor, and a City Buddy Mentor. I have been a part of the City Law Society as a Student Representative, and have done some pro-bono work through the Start Ed Pro Bono Clinic run through City. My top tip for applicants would be to use the resources available to them. Attend Applicants Days, do the research through the prospectus and the website, and if possible, talk to current students at City about their personal experiences AND ALWAYS be sure about the decision you make because that is the place you will be calling home for the next 3-5 years.